Wednesdays are one of my days off and when I’m not being completely lazy, this is what you’ll usually find me looking like, on a decent day. Humidity is not my hair’s friend, as you can clearly tell. 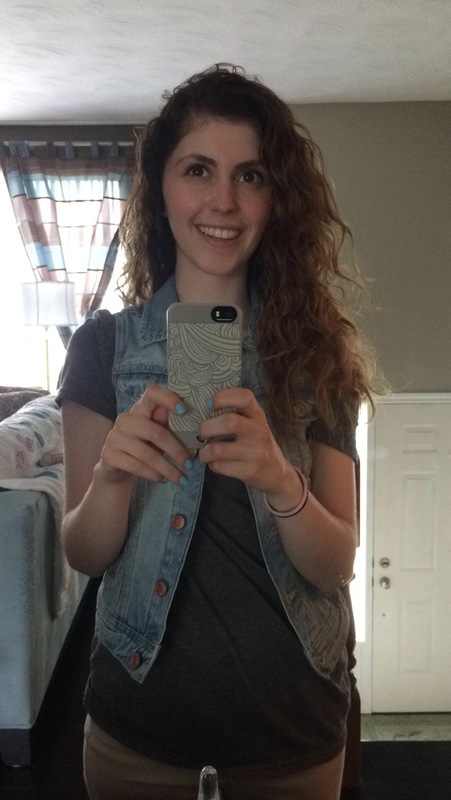 Jean vest is from H&M. I work at a coffee shop with super strict rules and it really is not the type of place where you can wear make up properly without getting an hour into your shift and looking like a complete hot mess (Really, though. All of our faces feel melted off from all the heat and lack of air conditioning). I never get to look good when working so my days off are my favourite. Also, I feel as though I should apologize that you guys even have to see my eyeliner the way it is – I am not even close to being good at using liquid eyeliner but I’m learning my best. It’s definitely a work in progress. There are a few steps and products that I use to achieve this look. It really is simple. A few of the products I use won’t be shown on a photo today since I am planning a skin care post within the next few days where they will be featured. I first start off by washing my face with Clinique’s Facial Soap for dry skin, followed by Clarin’s HydraQuench Cream for normal to dry skin (I have combination skin – its either dry and flaky or super oily). These will be in the next post, so keep an eye out for that! These are all the products I used to achieve my look. 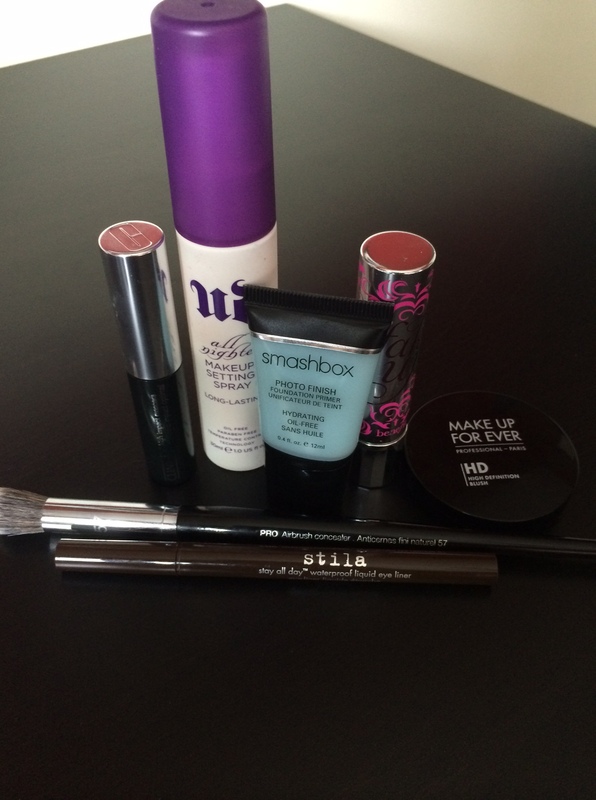 A ton of my favourites and all are available at Sephora! 1. 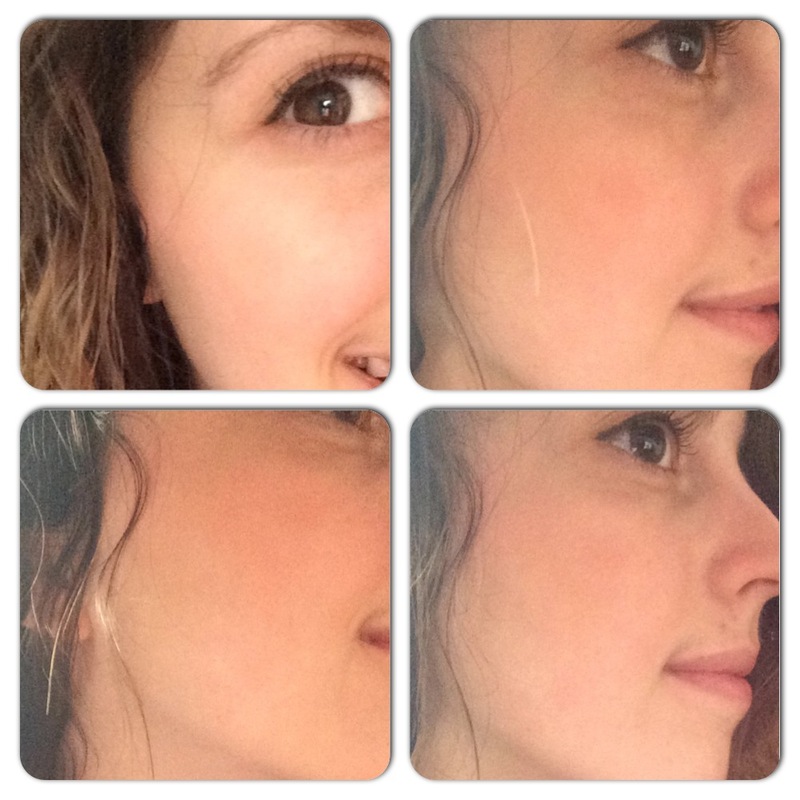 I apply Smashbox Photo Finish Foundation Primer which is Hydrating and oil-free. I apply it all over my face on top of my moisturizer and it leaves my skin feeling hydrated and still as soft as when I first put on my moisturizer. My concealer (and rarely used foundation, when applied) goes on perfectly without looking any bit cakey or creasing. 2. I apply my Fake Up hydrating concealer by Benefit Cosmetics under my eyes, around my nose and anywhere I have any dark spots from previous break outs that just won’t go away. 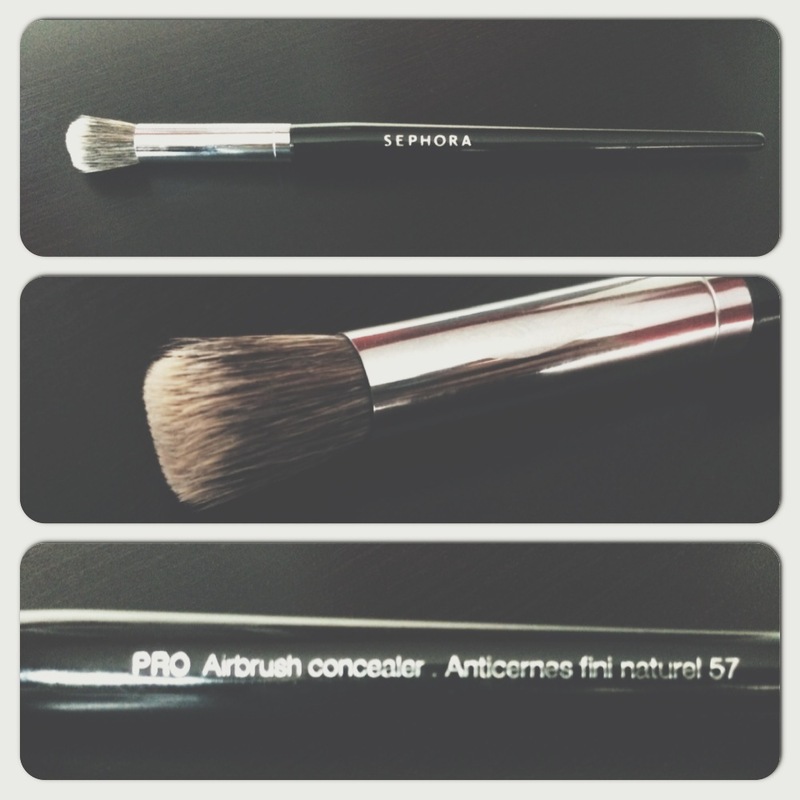 I use Sephora’s PRO Airbrush Concealer Brush #57 to blend. The bristles are soft and the product actually stays on your face. I personally dot on the concealer under my eyes and other areas I need it to go on and then I take the brush and blend. Gives such a smooth, soft finish. On days where I don’t have enough time to apply my primer, this concealer still doesn’t crease under my eyes. It’s perfect and the Vitamin E and apple extract help keep your skin looking super bright. 3. Whenever I plan on using my liquid eyeliner, I do it before I do my blush. I should probably start doing it before I do my concealer as well since I sometimes screw up my liner so badly, that I need to remove it all. 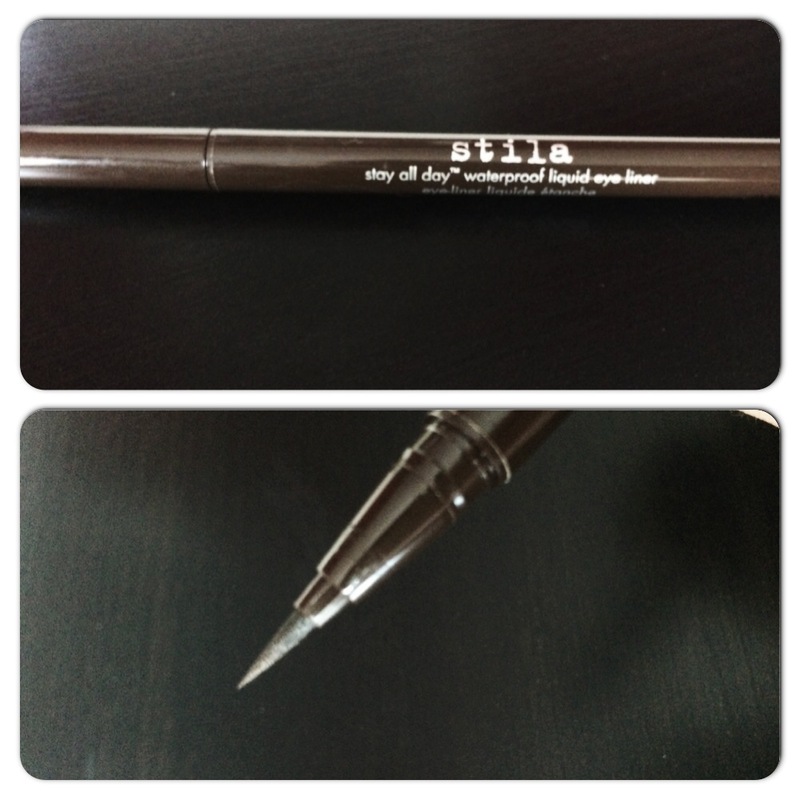 I just started using liquid eyeliner and the felt tip on Stila’s Stay All Day Waterproof Liquid Eyeliner is perfect for beginners. The product also doesn’t run so there is no worry about having excess product running down into your eyes. I use this liquid liner in Dark Brown, but there are so many different colour choices with this pen. It also dries super quickly so you don’t have to sit around and wait to do your eyelashes for too long. This photo is from Sephora’s webite. Mine, of my own product, wasn’t working. 4. I then curl my eyelashes and follow by applying Clinique’s High Impact Mascara. I absolutely love this mascara and I don’t have to worry about spending too much to get the look I want. It feels absolutely natural while giving your lashes a boost of volume. Definitely no flaking with this mascara so you can put on a couple of applications and you won’t be left feeling as though your eyelashes are going to snap off during the middle of the day. 5. 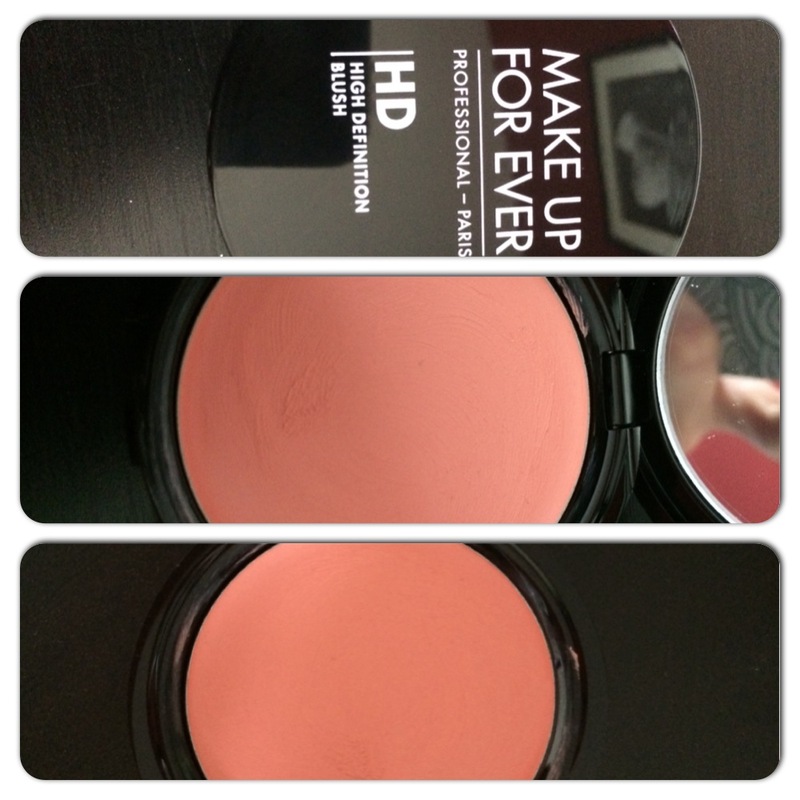 I use Make Up For Ever’s HD Blush in #225 (Peachy Pink). I just bought this last week and it is absolutely perfect! It is a creamy blush but when applied to your face, gives a powdered finish. A couple of my favourite things about this blush is that you can build up the colour and that it feels like nothing is on your skin. Doesn’t leave you feeling sticky, heavy or unnatural. Unfortunately, my blush brush has mysteriously gone missing, so I have been applying this with my fingers (which is absolutely fine! I just wish I had my brush). Rumour has it, you can apparently use this on your lips, too! I personally haven’t done it yet, but if anyone else has, let me know how it turned out! Below is what it looks like. I am currently stuck using my iPhone since I cannot find my Canon’s battery charger which is really upsetting. This blush is also sold by skin tone. #225 is one of the blushes for fair skin. The Make Up For Ever site has all the information there. 6. Last, but not least, I use Urban Decay’s All Nighter Make-up Setting Spray so that my make-up doesn’t melt off my face on these hot, summer days.